The first Artistic Cyclists already evolved at the end of the 19th century. The pioneers of the sport are two Americans, Nicolas Edward-Kaufmann and John Fatherly, who earned their livelihood with acrobatic bike performances. At the same time, in Germany, the first cycling clubs emerged. As per history, the first Artistic cycling competitions were held on 6th of September in 1884 on the "first congress of the German Cycling Association". At that time, athletes performed on high wheelers. According to records, the first official European Championships were held in 1895, the first UCI World Championships in the discipline of single men in 1956, single women followed in 1970. In 1986 Pair Artistic Cycling joined in. Four-men team Artistic Cycling is officially part of the World Championships since 2005. Whereas in the 19th century the sport of Artistic Cycling was merely focused on circus show acts, it has developed to a serious international sport with a defined body of rules. The rapid development on top of the world leads to the fact that tricks performed on the artistic bike get even harder and more spectacular than ever before. Athletes are jumping from the saddle to the handlebar (Maute jump) and show twists and turns that takes the audiences breaths away. The traditional strongholds of the sports are in Germany, Switzerland, Austria, France and the Czech Republic. In recent years the East Asian region with Japan, China, Hong Kong, Macao and Malaysia have been on the rise. At the yearly held World Championships 20 to 25 nations around the world participate. The World Championships are today held as "Indoor World Championships" which means that both Artistic Cycling and Cycle Ball are included. According to narratives it all began with a little pug. It was three centuries ago, when an American bike artist named Nikolaus Edward Kaufmann slightly kicked a pup lying in his way in order to avoid to tumble. That looked so great that Nikolaus together with a partner started to show around the stunt with the bike and a ball in his American hometown of Rochester. That was when Cycle Ball was born and started its triumph around the world. Initially Cycle Ball was played on a high wheeler on parquet flooring or grass in a team with two against two or six against six. The first World Championships were held in 1930 where a German team earned the gold. The focus of Cycle Ball was layed on the two against two duels and the six men team was replaced by five. The goal for Cycle Ball is two meters in height and two meters in width. The ball is made up of horsehair and has a weight of up to 600 gram. Cycle Ball is an international sports - Austria, Switzerland, Germany, Hong Kong and Malaysia - all these nations have put together very strong teams creating extremely electrifying excitement and thrill at each competition including World Cups and World Championships. Two brothers from the Czech Republic made history with the triumph of twenty World Championships. It is spectacular, dramatic, thrilling, fascinating, artistic, powerful, noisy and quiet altogether. Anyone watching this amazing sport for the first time becomes infected by its unique and exceptional atmosphere. This competitive sport is pure passion for all athletes around the world. They practice day after day to achieve the highest level possible to become the world´s best. No one who has ever felt the vibe and atmosphere of Indoor Cycling can believe it. But – Guess what? This sport is not in the Olympics. And it is hard to find reasons why. Help us in fulfilling the dream and the automate goal of pushing Indoor Cycling to the biggest stage in sports - a stage where it definitely belongs to: The Olympic Games! Support our aim by signing this petition! 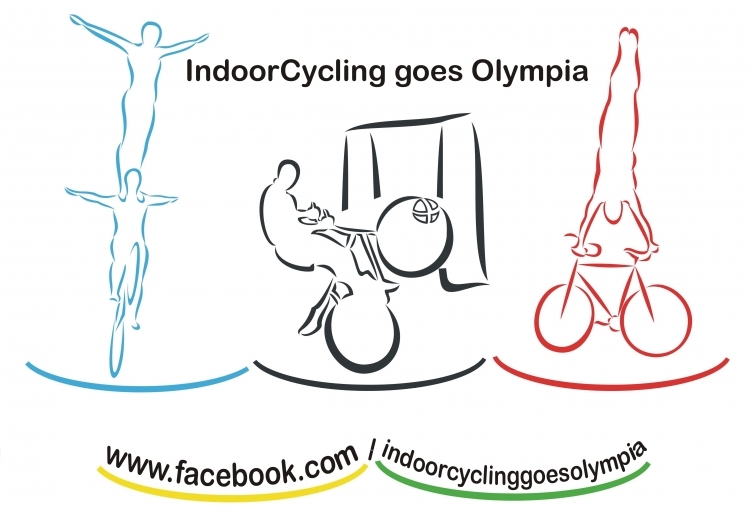 The IndoorCycling goes Olympia petition to International Olympic Committee (IOC); Union Cycliste Internationale (UCI) was written by Indoor Cycling goes Olympia and is in the category Sports at GoPetition.